While in most American cities, Memorial Day Weekend marks the beginning of swimming season, here in Orlando, we know it begins as soon as the water is warm! And, while the Atlantic may take its sweet time warming up, the more than 400,000 Florida swimming pools won’t! If you are one of the 40 percent of homeowners who has a personal swimming pool, you already know your friends will soon be pestering you about coming over. Provide the beverages and sunscreen and allow anyone who wants to lend a hand, come on over and help get your pool ready. If you “closed” your pool for the winter or winterized it, the spring opening process should be fairly simple. However, if you are like most Florida residents and just abandon your pool for the short winter, it may take a little more work. If you aren’t interested in doing the work yourself, hire a professional pool cleaning and service crew to get it up and running while you are at work! The swimming pool maintenance experts at Florida Pool Care Pros are standing by to get you ready for summer. 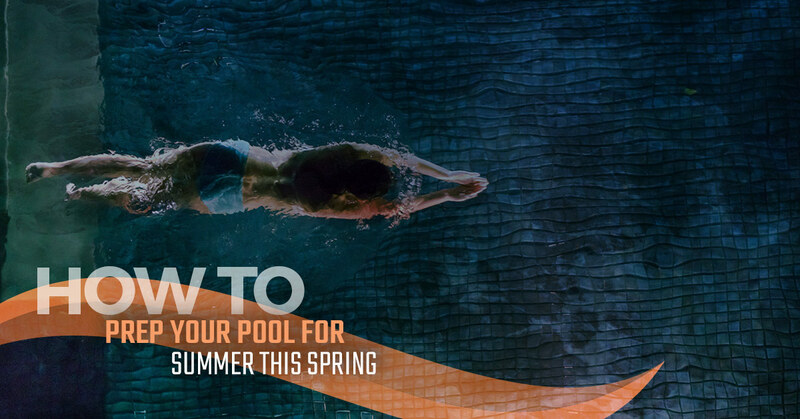 Just like Major League Baseball, don’t be afraid to open your pool early. If you use a winter cover, opening early is one of the safest things you can do for your pool and your swimming guests. In warm, wet environments (like your pool water under the cover in the sun) microorganisms thrive! When you draw back your pool cover, you may be horrified to find a green film. Don’t panic! You’ll know it’s the right time to open your pool when overnight temperatures remain consistently above 40 degrees. Opening the pool is fairly easy. Simply remove the cover and make sure that it is clean and dry before storing it for the hot, humid summer, to prevent mold growth. Before starting up your pump and filter system, clean any collected debris off of it and if you didn’t winterize it, it is a good day to flush the water that is in it. Once your pump and filter system is turned on, put it in “waste mode” and let it do its job for at least 24 hours, but don’t hop in for a dip until you test the water! Testing your pool water before swimming in it is vital to your health. This can be done with some simple testing strip dipping. Standard swimming pool water testing kits will test for chlorine, pH levels, cyanuric acid levels, chlorine stabilizers, and water hardness (calcium and magnesium levels). It is important to know what kind of pool you have and how to properly shock it. If you do not know, for safety’s sake, leave it to the professionals! If you do it yourself, follow the manufacturer’s steps to complete the shock treatment for your pool. Before cannon-balling in, allow the shock treatment to completely work and then conduct another water test to ensure everything is at ideal levels. Once your pool is open, you are ready to swim! You can wait for the next warm day or you can enjoy a cool, refreshing plunge! If you would like help with the regular cleaning and swimming pool maintenance, call the pool guys at Florida Pool Care Pros. We offer weekly cleaning agreements as well as routine and emergency maintenance and floor and pool bottom repair. Contact us for your free estimate today!